The sun is beginning to set earlier and the weather will be getting cooler and wetter. A sure sign that a seasonal change is occurring. We know about seasonal change from a common-sense point of view. We know when to take out and put away our seasonal clothing. We know about ‘spring cleaning.’ We know about ‘winterizing’ our homes and cars. But we don’t normally connect our body’s needs seasonal change. By applying common sense things you already know about the seasons to your health, you may be surprised by how much more energy you’ll have year round, while greatly reducing your vulnerability to colds, flu, arthritis aches and pain, body aches and pain and other seasonal discomforts. You know your car needs periodic maintenance. Your body needs periodic maintenance too, make sure to schedule a tune-up for your body too. 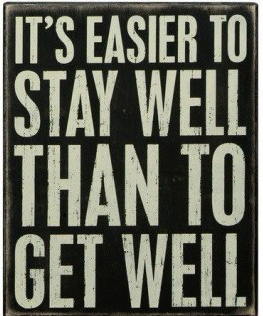 Remember, it is easier to stay well than to get well. This entry was posted in Acupuncture, Health and tagged acupuncture, allergy, back pain, constipation, digestion, health, hip pain, neck pain, pain, shoulder pain, sinus pain, sinus pressure, tension headache. Bookmark the permalink.